Form 1 Personal Property Return-Corporations. Form AT3-51 Personal Property Return-Sole Proprietor/Partnership. Form AT3-73 Application for Identification Number. Form is filled in onscreen for easy data entry. Data will roll over from year to year. Calculates estimate of property tax due. Client information can be imported from other CFS programs and major tax software programs. Prints invoice for fee collection. Prints editable Cover Letter for Client Filing Instructions. 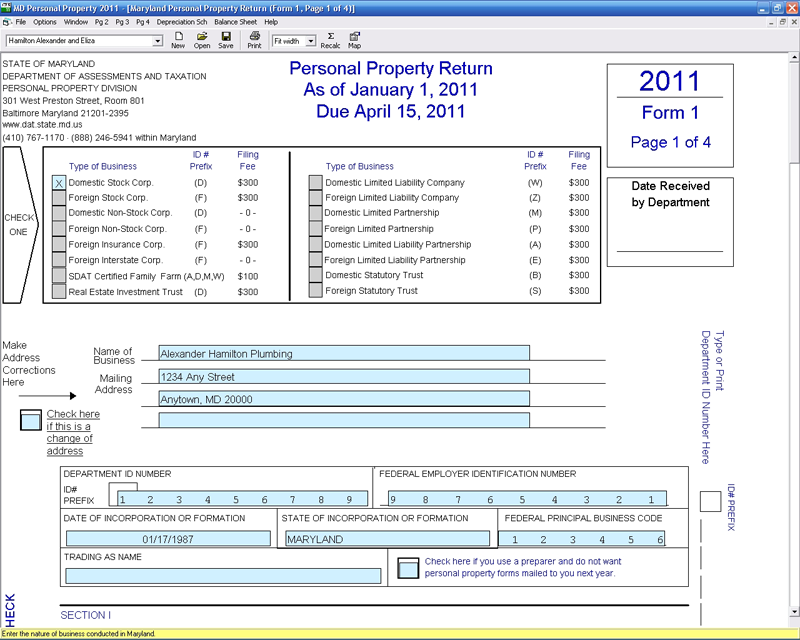 Forms approved by Maryland Department of Assessments and Taxation.